This procedure is performed by the Veeam Backup Administrator on the backup server. 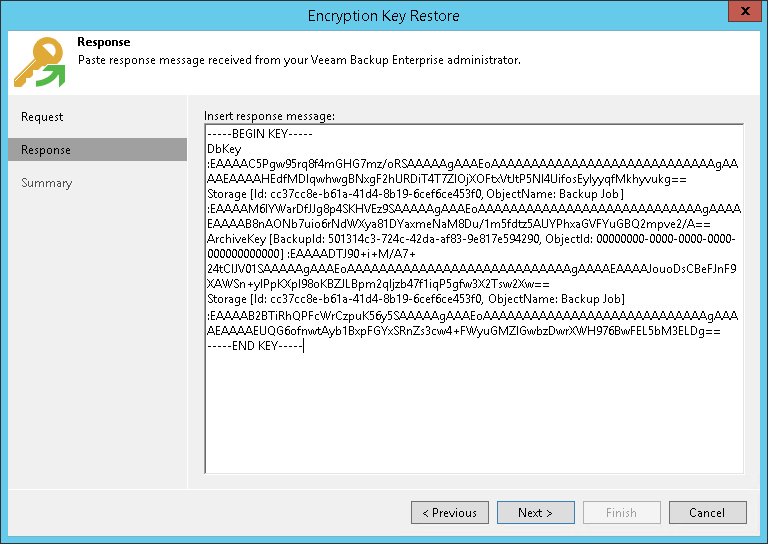 In Veeam Backup & Replication, get back to the Encryption Key Restore wizard. Enter the copied response to the text window at the Response step of the Encryption Key Restore wizard. Follow the next steps of the wizard. At the last step, click Finish. Veeam Backup & Replication will retrieve the decrypted storage keys from the response, apply them to the encrypted file and unlock the file content.